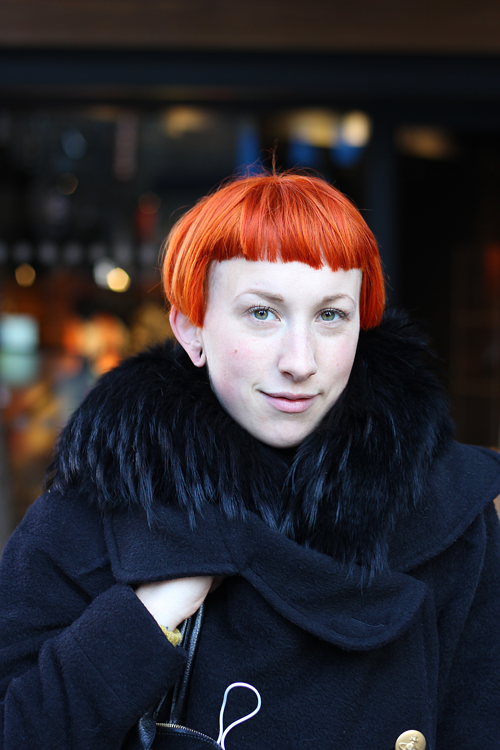 Rebecca Johnson’s striking orange hair & metallic creepers turned heads in Covent Garden. The fire eater from Bloomsbury, London was shopping in Seven Dials wearing a Vivienne Westwood coat, Antoni & Alison bag, Underground creepers and American Apparel leggings. One of our 2014 highlights was having a collection of our exclusive street style photographs shown across the UK on a grand scale. Outdoor media giants JC Decaux selected nine of our fashion muses to appear on their digital billboards in train stations, tube stations and major shopping centres; launching to coincide with London Fashion Week SS15 last September. 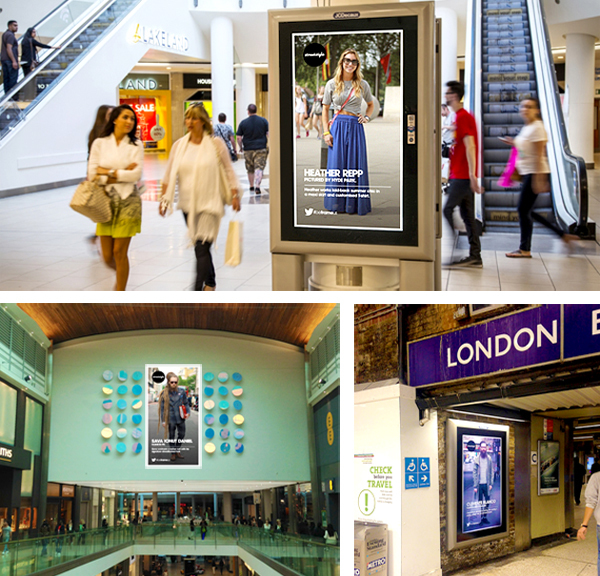 Read more about JC Decaux’s pioneering outdoor editorial #BeFrameUs campaign. Sava Ionut Daniel is a fashion PR, he wears a Florin Dobre suit. 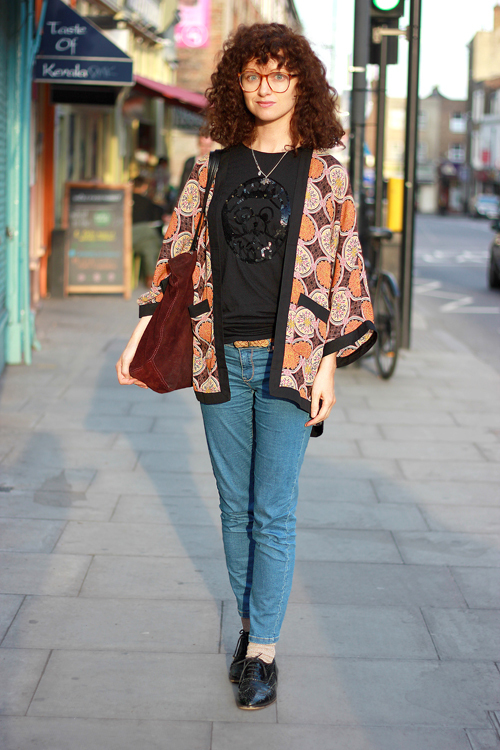 Jenny Creedon, a nutritionist pictured in Islington wears kimono and top from QED London, jeans from Bershka, and vintage shoes and glasses. 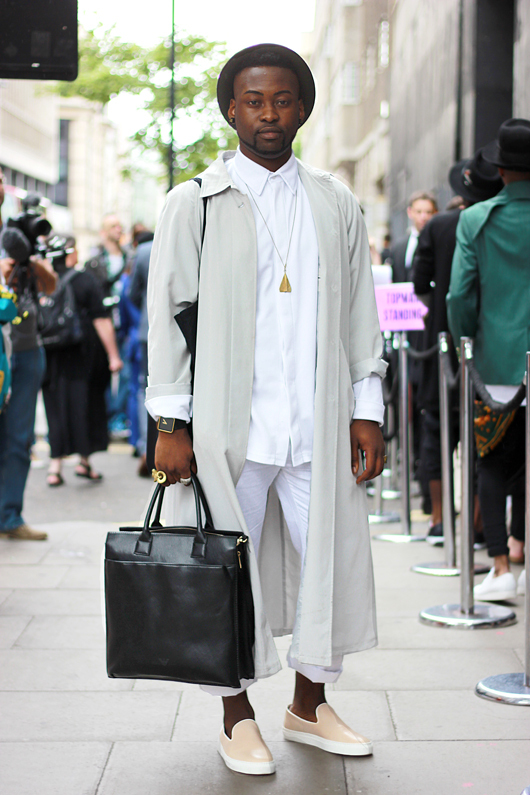 Jay XYYX is a stylist and wears Topman shirt, trousers and shoes, Versace scarf, Madhatter hat, Brick Lane glasses. 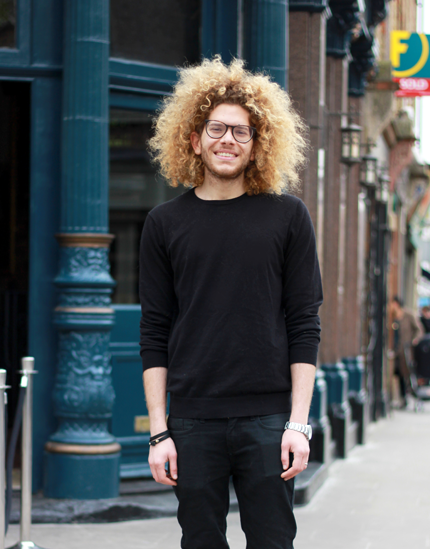 Adam Walmsley, hair stylist at Kennaland, aged 31. 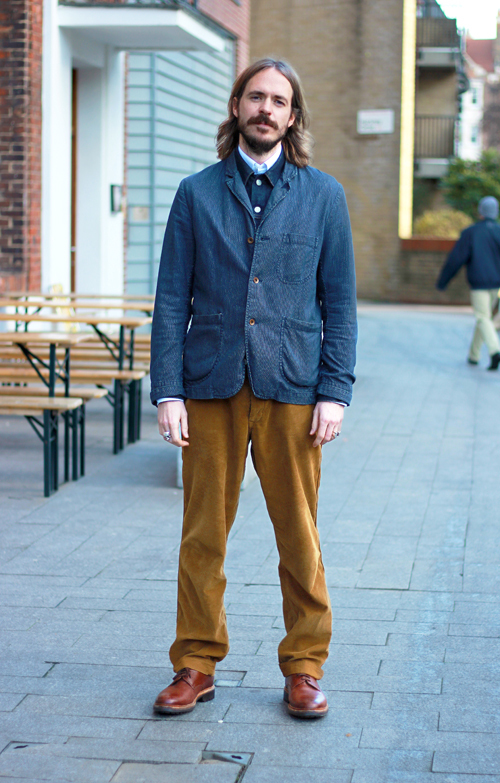 He wears Levi’s jacket, Edwin blazer, YMC cords, M&S shirt and Grensons shoes. Pictured in London Fields. Emma Coady is a stylist and an assistant manager at Paul Smith pictured in Notting Hill, she wears Jack Wills dress, Steve Madden sandals and Mulberry handbag. 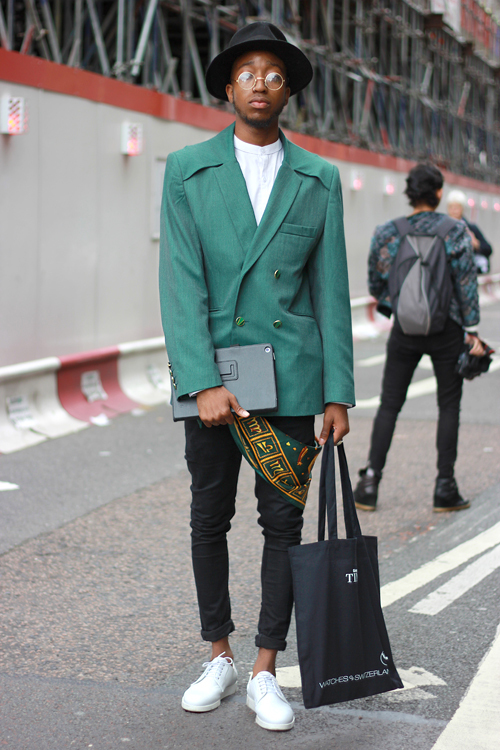 Harry Bartlett is a fashion photography student, he wears Topman suit, Versace shoes, Zara bag and Virgin Blak hat. Natasha Rose, marketing manager at Visit Britain & owner of The Pirate Baker, is pictured on the Millenium Bridge. She wears Ray Ban sunglasses, Hudson shoes, Louis Vuitton bag, Urban Outfitters skirt and vintage top and shirt. 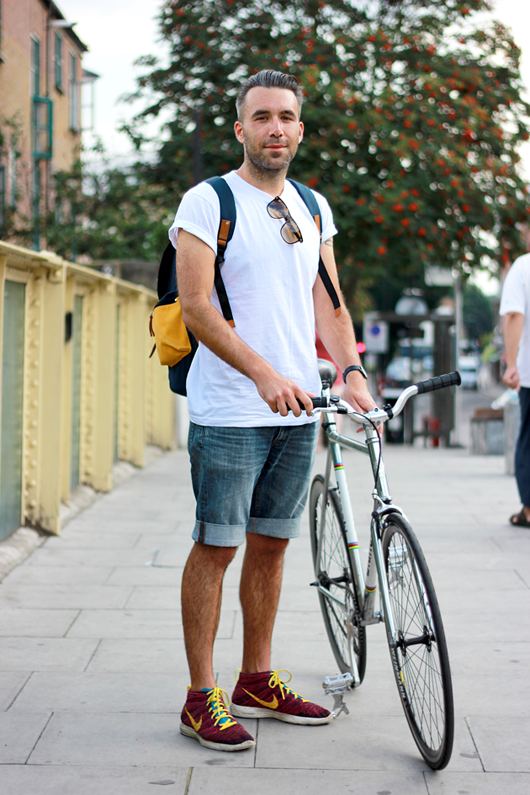 Clemente Blanco is a fashion merchandiser from London Bridge. Pictured in Notting Hill he wears H&M jacket, vintage top, Cheap Monday jeans, Clarks shoes and Ray Ban glasses. Heather Repp pictured by Hyde Park wears Anthropology skirt, Madewell T-shirt and bag, Toms shoes and Tom Ford sunglasses. 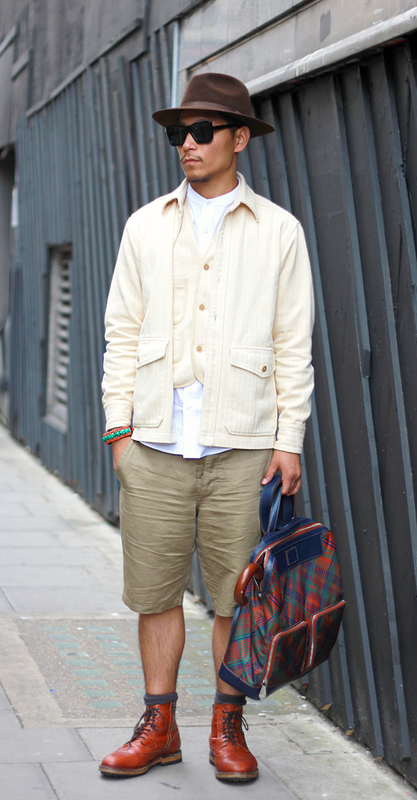 Eshan Kali wears Brooklyn Circus jacket, YMC shorts, Vivienne Westwood shoes and bag, Laird hat. 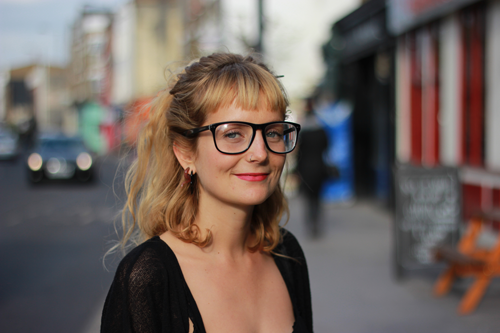 Katie Fitzgerald is a seamstress at The Gathering Goddess studios, pictured in Notting Hill. She wears Topshop dress, Scholl sandals, Tiger sunglasses, purse from Spitalfields Market. Katy Lowenhoff is a dancer for Matthew Bourne pictured in Holborn. She wears vintage jacket, New York baseball top, Topshop shoes, Mango dress and a vintage bag. 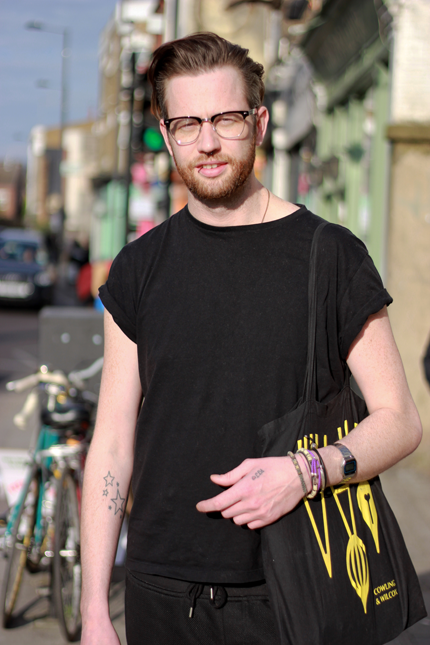 James Taylor is a Graphic Designer pictured on Broadway Market. 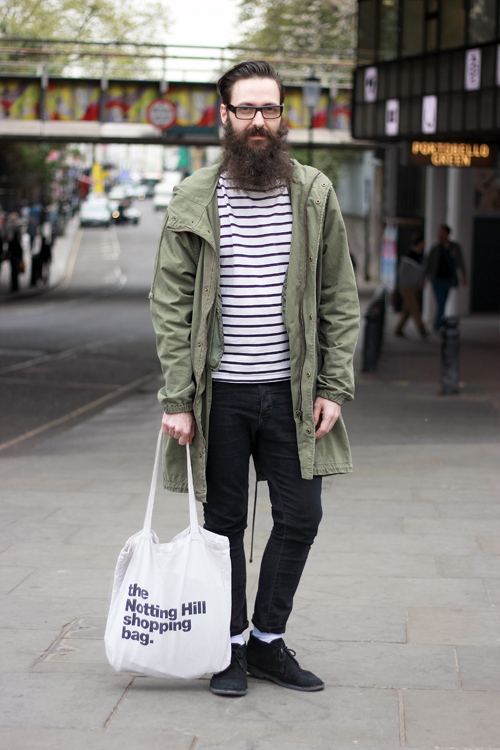 He wears American Apparel T-shirt, Beyond Retro shorts, Nike trainers and Sandqvist bag. Lola Campillo is a receptionist pictured in Spitalfields. 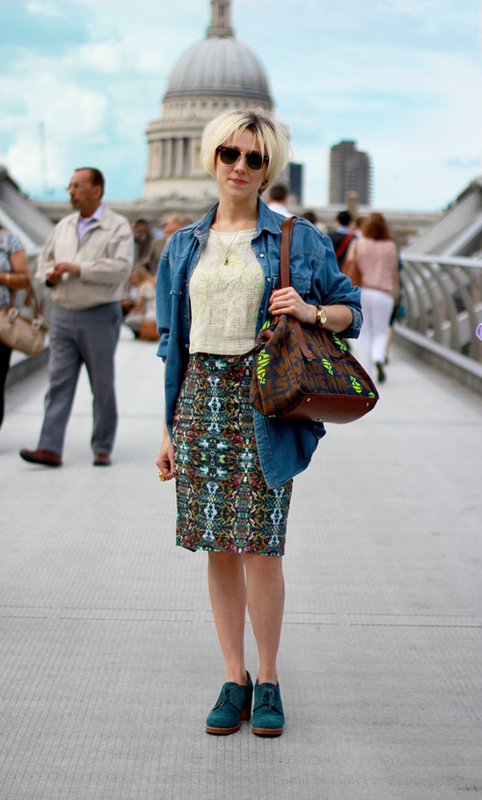 She wears dress from Camden Passage market, shoes Primark, bag Hackney market and sunglasses from Portobello market. Anna Bending, a photographer and freelancer at Topshop wears Primark Tshirt dress and Schuh trainers. Deano Bugatti is an actor pictured in London Fields. He wears H&M shorts, Primark shirt and trainers, The Box sunglasses and hat from New York. 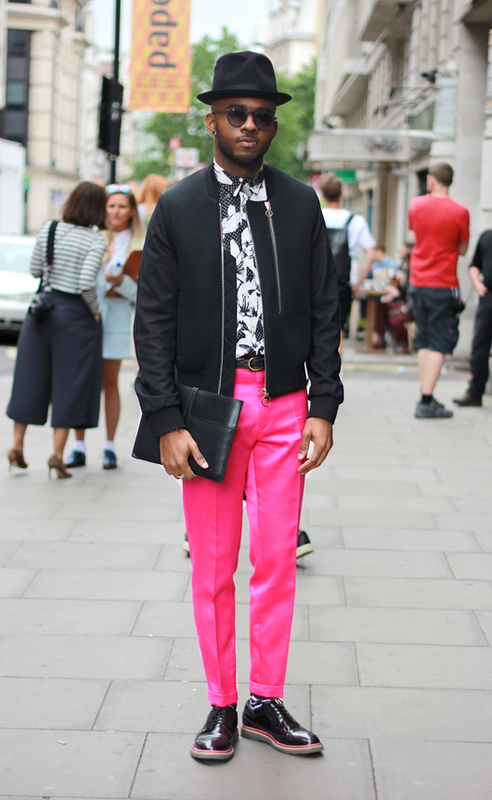 At men’s fashion week the sharpest dressers are found off the catwalk. See more! [dropcap]A[/dropcap]t men’s fashion week the sharpest dressers in town are to be found off the catwalk, so we headed to London Collections: Men to seek out seamless sartorial style for Evening Standard. 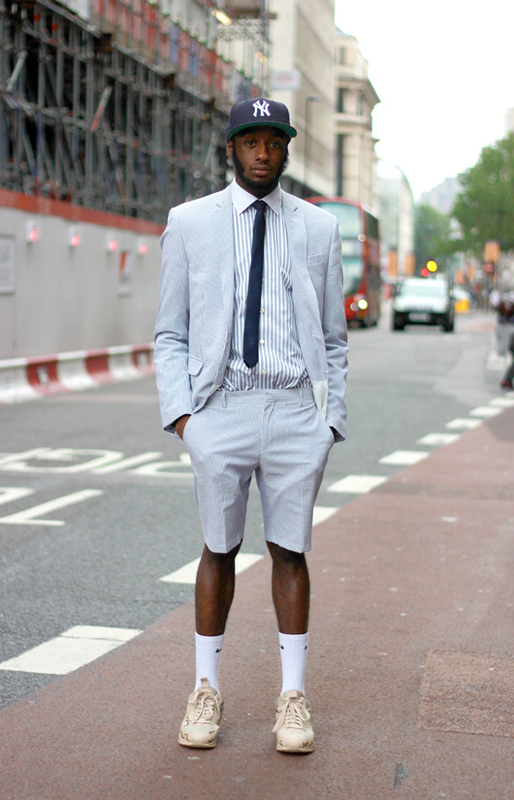 Martell Campbell, a stylist and blogger wears Paul Smith outfit and shoes, Baileys hat and D’Lyle Treasure socks. 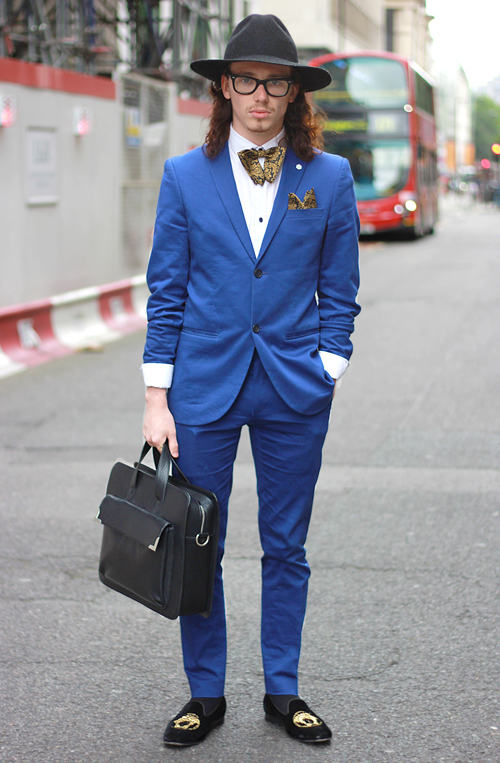 Andrew Allan, personal shopping brand manager for Topman wears all Topman apart from a Spencer Hart jacket. Johnson Gold is editor of Pause magazine, he wears vintage jacket, Down The Rabbit Hole shirt, H&M trousers, MenLook shoes, Armani bag and ASOS hat. Angelo Mitakos is a stylist and wears Zara trousers, Russell and Bromley brogue shoes, Ted Baker shirt, Daines & Hathaway bag. Nas Abraham is an art director and wears Jigsaw suit, Eye Respect sunglasses, Oliver Sweeney shoes, Ted Baker pocket square, Comme Des Garcon t-shirt. 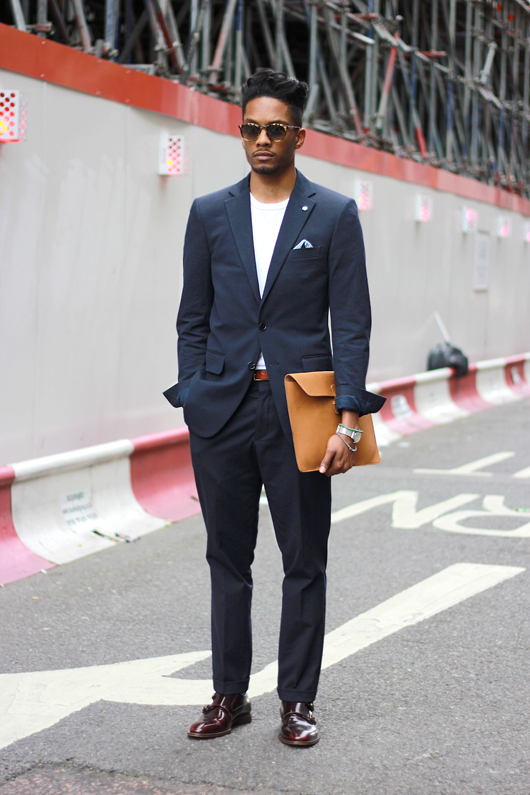 Kristian Yarde is a fashion marketer and wears ASOS suit, Eton shirt, Nike Air Max trainers and New York Yankees cap. 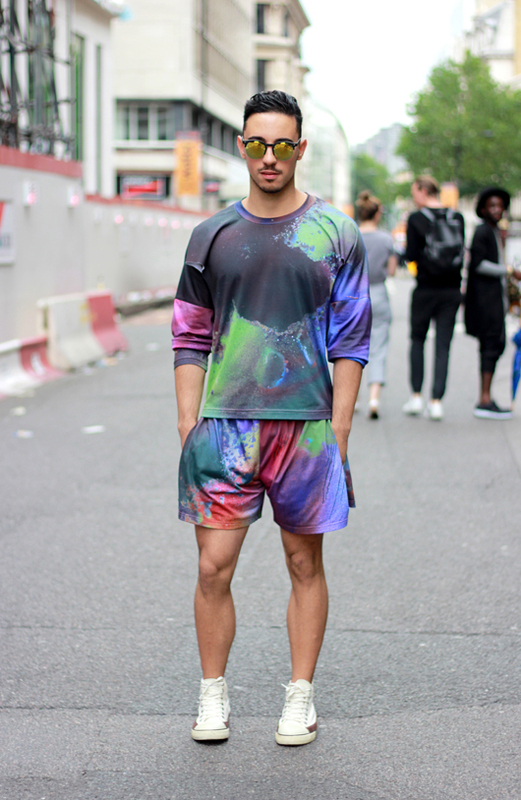 Andrea Pieri, a stylist, wears Julian Zigerli outfit, Angel Devil trainers and ASOS sunglasses. 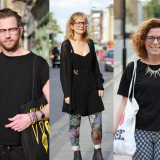 We spotted some spectacular specs wearers on the streets of London. [dropcap]I[/dropcap]t’s an easy task to spot spectacular specs wearers on the streets of London, from vintage frames in the East End to smart tortoiseshell rims in the City. Here’s a few we snapped for Evening Standard. Francesca Paz is a hair stylist pictured in Stoke Newington. She wears Urban Outfitters playsuit, Topshop leggings, H&M cardigan, vintage bag and Specsavers glasses. 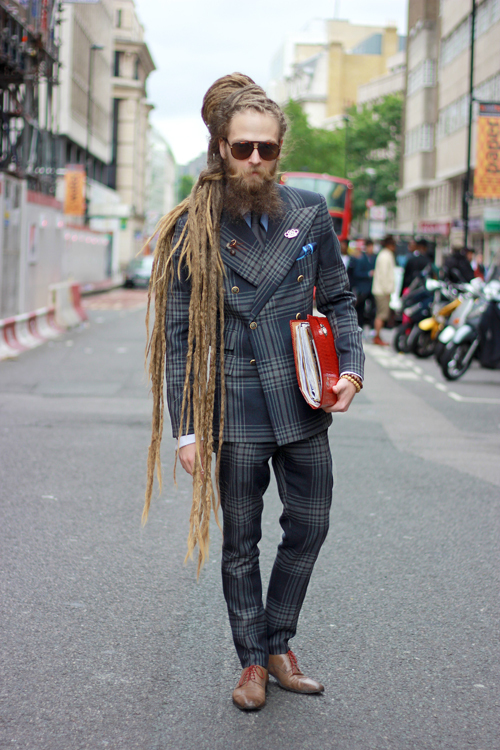 Ross Johnstone, 31, a hair stylist at Kontact in Stoke Newington. He wears Urban Outfitters trousers, Topman t-shirt, Vans shoes and AJ Morgan glasses. Danielle Maguire, a hair stylist is pictured outside her workplace Kennaland hair studio in London Fields. 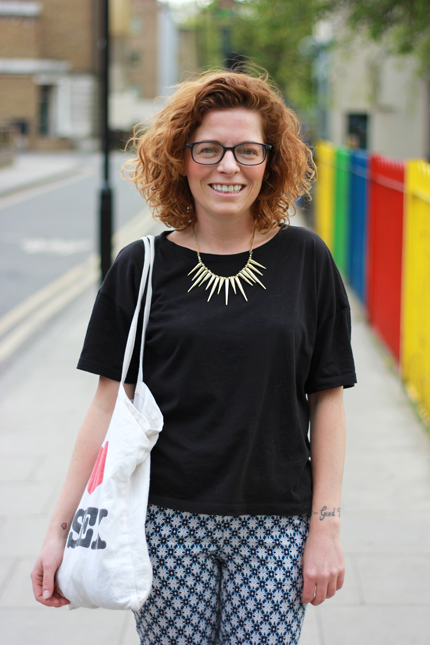 She wears Cos trousers, Topshop t-shirt, Urban Outfitters necklace and shoes and vintage glasses. 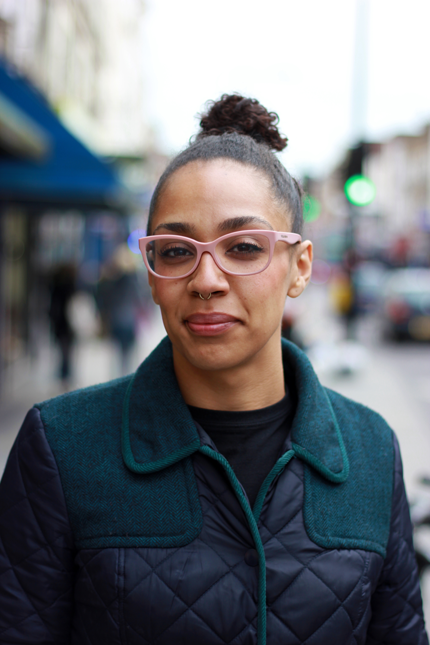 Abigail Lees, 26, from and pictured in Dalston, is a shop manager. She wears Next coat and D&G glasses. 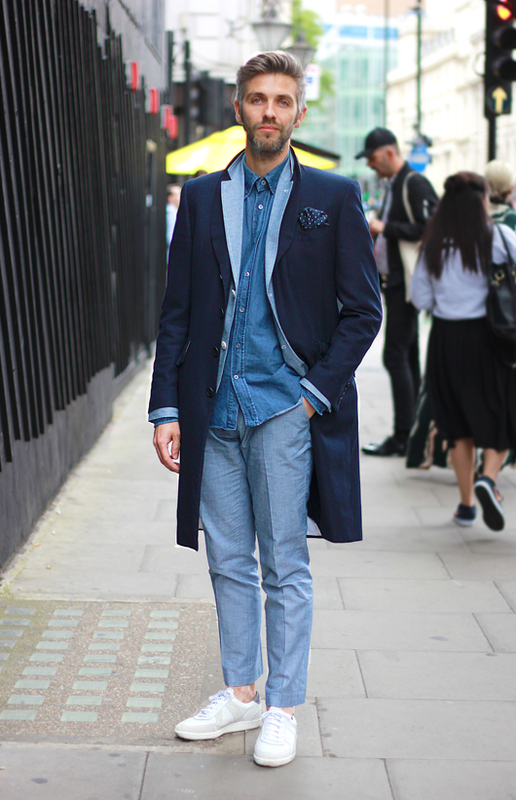 Mohammad Ashraf, a sound designer pictured in Broadway Market, Hackney, wears Uniqlo top, Topman jeans, Converse trainers and Ray Ban glasses. 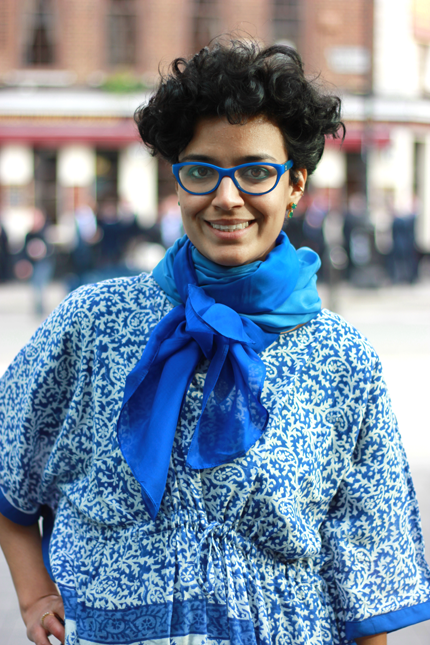 Alka Mattoo, a clothes designer, pictured in Spitalfields, Liverpool St. She wears her own design Orvana dress, Topshop jeans, Urt sandals and Chanel glasses. Shopping in the Spanish Steps area in Celine & Chloe. [dropcap]K[/dropcap]ristina is pictured shopping in the Spanish Steps area of Rome. She wears a striking red Celine coat and a Chloe handbag.